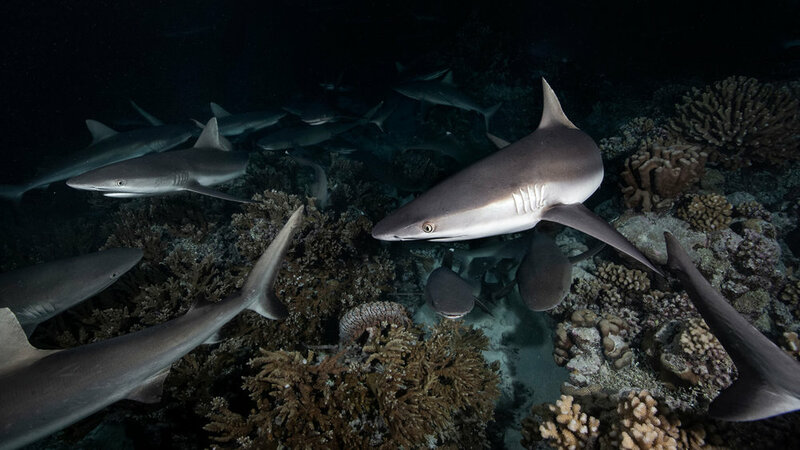 The underwater photographer and Parley collaborator shares new images of sharks in French Polynesia. An underwater photographer, Parley collaborator and founder of the sustainable ocean apparel company, 22 Degrees, Rick Miskiv shares our passionate love of the oceans. 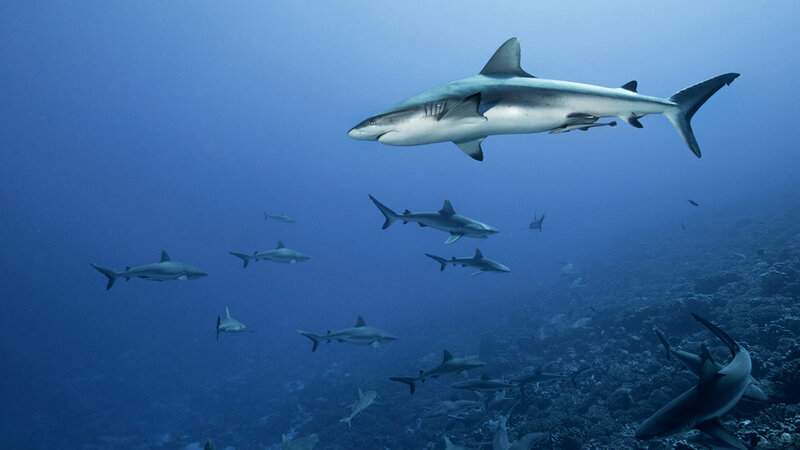 He recently returned from an expedition to film 360° undersea footage amid sharks and grouper fish in French Polynesia. We caught up with him to find out more about about his incredible images of nature at work. Tell us a bit more about this series – what are we seeing here? It's a combination of survival strategy and natural spectacle with an element of mystery. 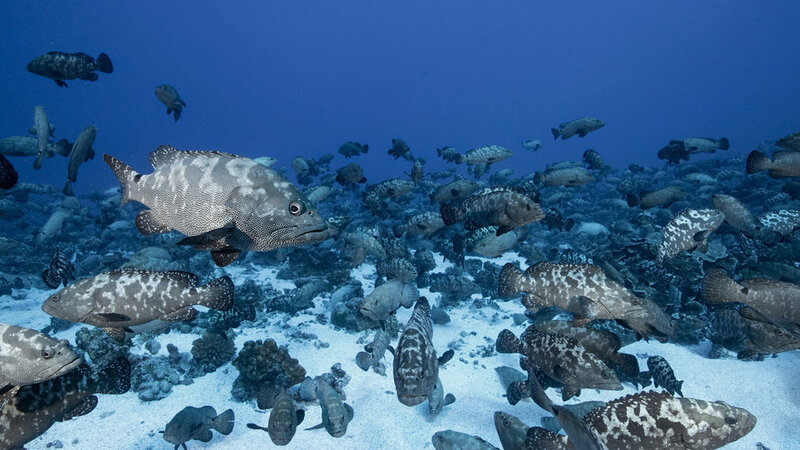 It all happens each year in June approaching the full moon, when groupers aggregate in the tens of thousands for a massive spawning event in a channel located in Fakarava, French Polynesia. It’s a key event in the survival of the fish to the next generation. I come from an arts background, so I learn from what I can about behavior from my colleagues Richard and Paul who are specialists in the field. How much do we know about the grouper spawning? There are many questions left to answer: How do all the individual groupers know exactly where and when to meet? What is the specific criteria that provokes the primary spawning event? Time of day, light, lunar cycle, direction of the current are among the factors thought to play a role in the timing of the spawning. The female groupers tend to hide under the coral when their bellies are filled with hydrated eggs and the male groupers will flutter, push and encourage the females to ascend for the spawning. Meanwhile, predators such as sharks will try to take advantage of the situation to hunt the groupers, darting and cutting through the large mass of fish look to make a strike. It’s just a stunning natural drama packed with action! What’s the interaction like between sharks and grouper? It’s like a game of cat and mouse. The sharks are drifting and patrolling the channel, and the groupers appear to use a strategy of non-movement to avoid detection. Groupers that maintain a zen-like stillness have sharks directly passing over them unharmed, however if bumped or pushed into a situation of flight the sharks would attack with precision and swiftness. During the night dives the groupers would do their best to be tucked away into small hiding places in the reef, but during the spawning event the groupers were more vulnerable and the strategy appeared to shift to a safety in numbers approach. What’s it like being in the water with all that happening? From the very first descent it was fish as far as the eye can see, spanning the entire channel. I was awestruck. 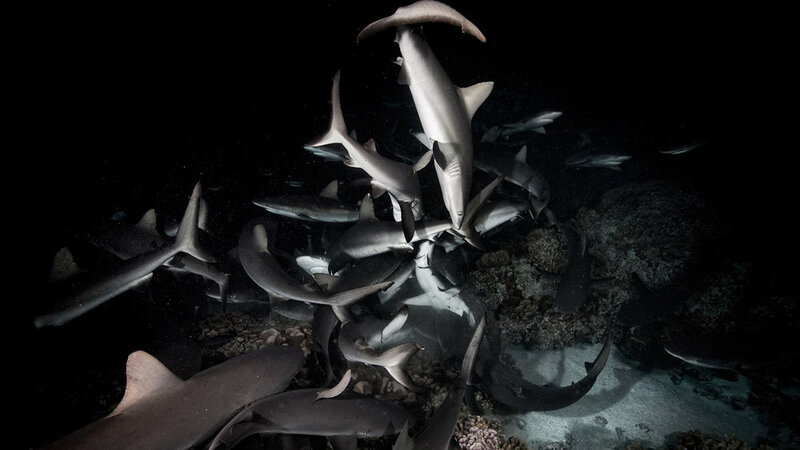 The night dives were were filled with frenetic energy of 100 or more sharks on the hunt and fighting over their prey right in front of you. At times I was literally bumped into by a shark – once in the head, and a few times quite forcefully into my legs. All the instances were non-aggressive, and mostly a situation sharing a crowded space. It was electric but also creates a sense of humility and respect for nature. What, for you, is the most amazing/special/magical thing about sharks? As an artist, I appreciate the evolved perfection of their form and movement. Their effortless grace and power is just awesome to see up close. You are witnessing about 450 million years of evolution. The other important thing to note is that sharks are not the indiscriminately aggressive or violent animals they have been characterized to be in the popular imagination. In your time diving and photographing and filming the underwater world, have you noticed any changes? unrecognizable due to storms that had damaged and reduced the coral reefs to rubble. Storms are not unusual but the intensity and frequency of the storms in Palau have been increasing dramatically each year. Also in 2016, nearly the entire population of jellies in Jellyfish Lake have vanished. One theory is this was caused by of one of the worst droughts in 65 years and the resulting increase in salinity. People who see your images are often moved to act but can find it overwhelming. How do you feel people can make an impact? At times I feel overwhelmed by it too. Especially since the more you learn about ocean issues, the more you realize how much needs to be done. My advice would be to think about what skills you have that you can lend to a cause, whether as an artist, scientist, educator, advocate or whatever strength you have. Find one area or issue that you are passionate about and take action, no matter how big or small. Each action will have a ripple effect and inspire and motivate others. Get engaged, get involved – and take the Parley A.I.R. Pledge!